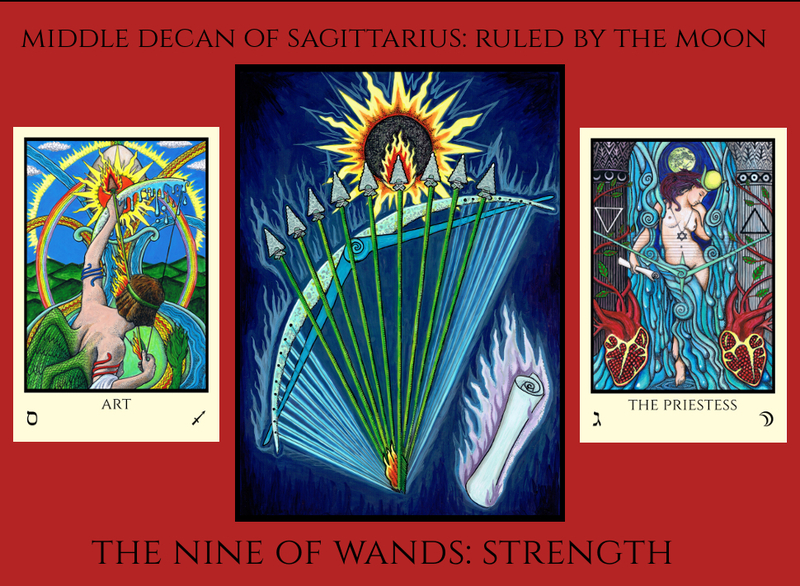 Click here to Subscribe to the newsletter for the Atu House tarot offerings Tabula Mundi and Rosetta Tarot, and for rare occasional musings. Please click the link in the confirmation email, or check your spam folder if you do not get one within a few minutes. 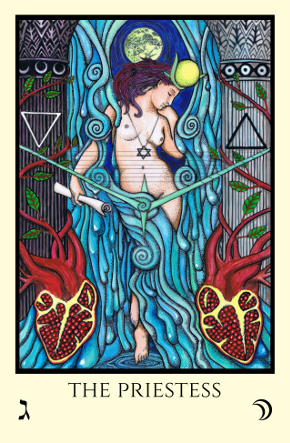 …the Tarot illustrates, first of all, the Tree of Life in its universal aspect, and secondly, the particular comment illustrating that phase of the Tree of Life which is of peculiar interest to those persons charged with the guardianship of the human race at the particular moment of the production of any given authorized pack. I’m at work on a new deck! It is well underway and I expect to post the first glimpses of it in September or October. If you want to know as soon as pictures are up or it becomes available, sign up for the newsletter in the link above! 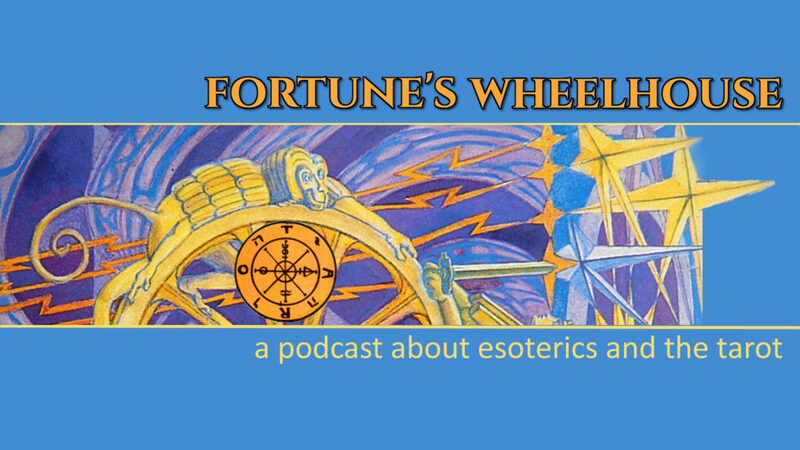 Check out Fortune’s Wheelhouse, an all new podcast about esoteric tarot – and though I’m more than a little introverted I actually agreed to cohost it with my friend and fellow Tarotista Susie Chang. Here are links direct iTunes or Google Play or Stitcher and other apps….you can listen FREE or decide to subscribe via Patreon for more content and prize giveaways! You can also get Fortune’s Wheelhouse tee shirts, featuring several card designs from Tabula Mundi here at RedBubble. 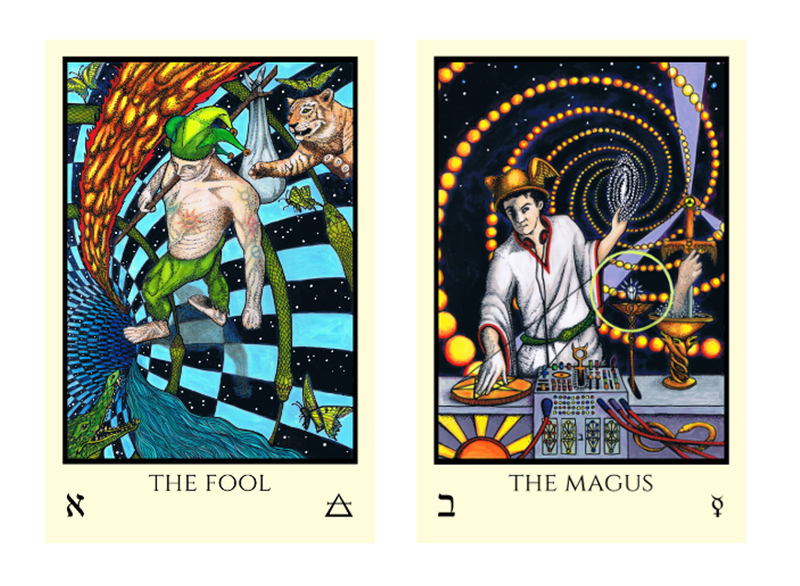 Tabula Mundi and Rosetta Tarot also have apps, by the Fool’s Dog! Click for Tabula Mundi iOS version or Tabula Mundi Android version. This is by the same company that made the Rosetta app for iOs and the Rosetta app for Android. With these highly functional apps you get not only access to beautiful high resolution images of all the cards and a variety of spreads, but they also include the full 240 page guidebooks for both decks. Now you can take them with you, or explore the content in order to decide if you want a physical deck and book. Tabula Mundi In Minima pocket size edition is now IN! 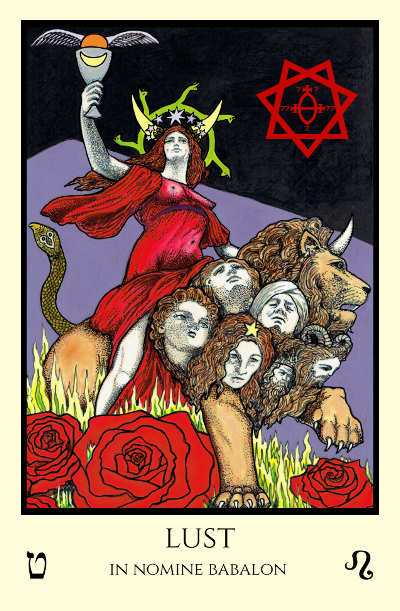 Rosetta Tarot full size first edition (black borders) is SOLD OUT. Rosetta Tarot pocket box edition (black borders) is now IN. 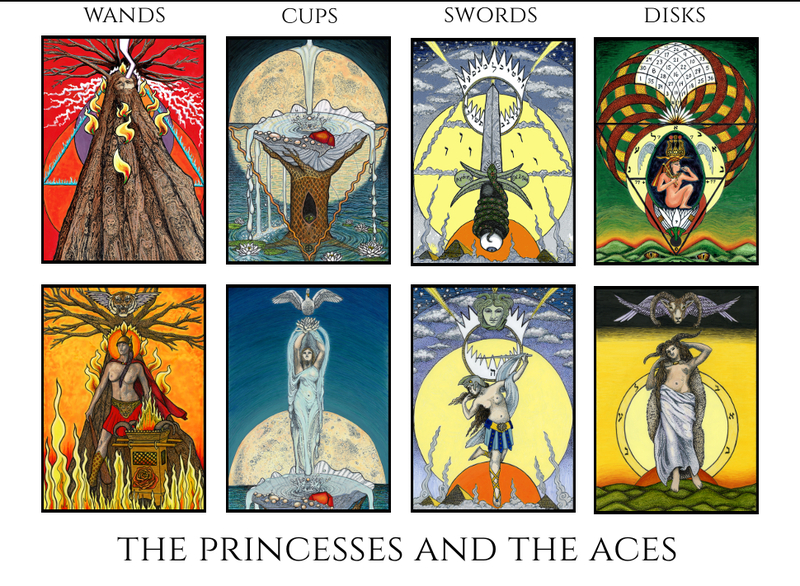 If you want to be updated with news of the tarots of ATU house, please subscribe to the newsletter. Your email address is never shared. You will need to reply to the email you get in order to truly be subscribed, so please watch for it and check your trash folder if it is not received. Add info(at)rosettatarot(dot)com to your safe list so they don’t go into spam, or you may not see them going forward. 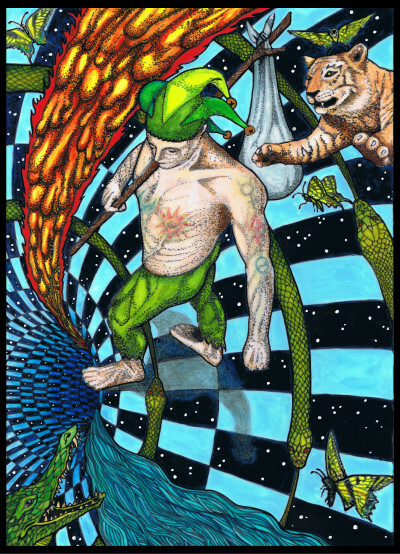 You can also read posts about the Tabula Mundi deck’s creation on the Aeclectic Tarot forum. Greetings and Salutations. I just received my Tabula Mundi deck last week along with the book and decans pack. You really did an outstanding job with all of this – hands down the most inspired and thoughtfully executed deck I’ve seen. Thank you for sharing your time and talents with the world. Also wanted to mention that the additional card received was The Magician, which happens to be my soul path card. Many thanks! You’re welcome – and thank you! I received my Tabula Mundi Colores Arcus today and I’m blown away. I’ve been using the app on my phone for a few months, but the physical deck is truly amazing. The care with the packaging alone makes this precious and the deck itself is magnificent. I feel honoured to own such a beautiful collection of art in one deck. All the extras are wonderful too, and unexpected. 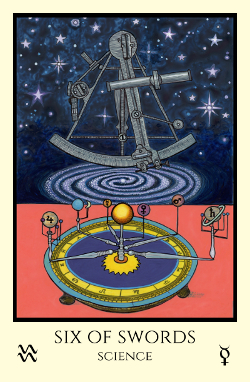 The large Adjustment card is relevant to me at this point in my life, so thank you for that! Just collected my In Minima from the parcel office. The usual fantastic service from Mel and as always opening the package makes me feel like a kid again. You never know quite what little extra goodies may be inside. It is so very beautiful and does not lose anything from the reduction in size. So perfectly beautiful that it literally took my breath away. A heartfelt thank you Mel. I’m so excited! 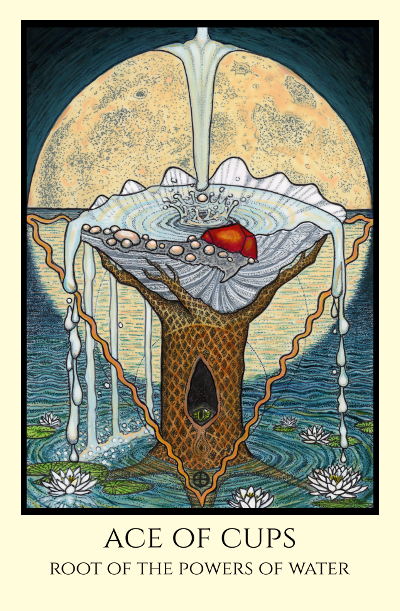 Today before 8P Pacific I will receive Tabula Mundi deck and book! My daughter ordered it for me for my 48th bday coming up the day after Easter. 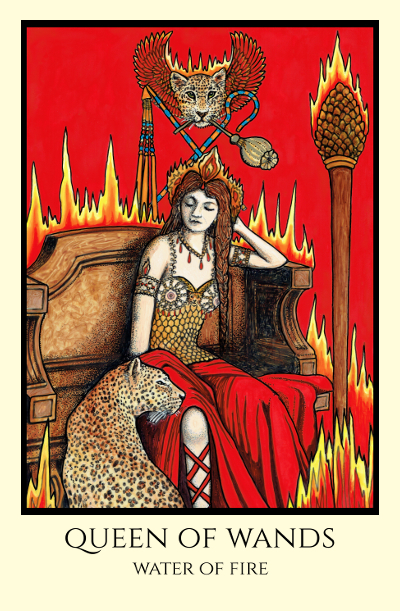 When I saw the Queen of Fire element card I was pretty blown away. Every card I’ve seen online is very amazing. My daughter is a super-methodical and ethical person—born 14 April—she’s 28. When I told her I felt you are also that way she knew what to get me for my bday. She’s very discerning and unique. Anyway—I struggle with mood disorder that has ups and downs and I wrote you once and when you responded so kindly and spot-on my mood had already shifted to introverted and I didn’t know how to answer. I wanted to apologize for my rudeness. I am amazed by you and your body of work! 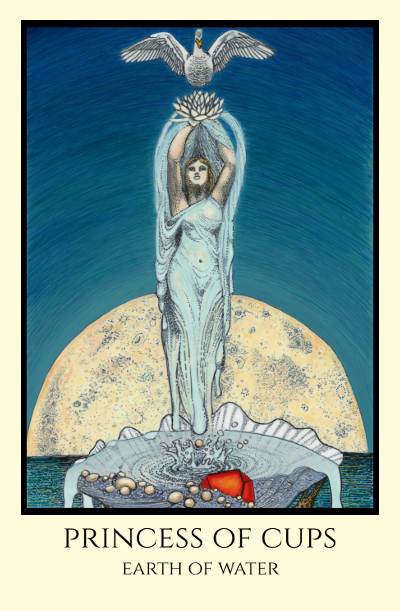 The good fortune I feel today tracking my package is immense and it’s clear I’m going to have so much enjoyment and learning from your artwork, meaningful symbolism, deep knowledge and wisdom, and having the book to study. Today I received my “In Minima” deck to add to the rest of the “family.” I can’t recommend enough. Money well spent!!! Received my large tabula mundi and my pocket size today,blown away by its beauty.there was a gold sticker included and I immediately stuck it on the mini box,I love it .Is there any chance of a gold sticker for my big box please it would make my set perfect. Yes, this can be arranged. I replied to your emails so check your inbox and junk folder. Thank you! What are differences in these decks, ive seen some shots of different tabula mundi but dont know what deck theyr from? can i get sold out deck at somepoint if deck im searching is one of them? Hi Shamash! 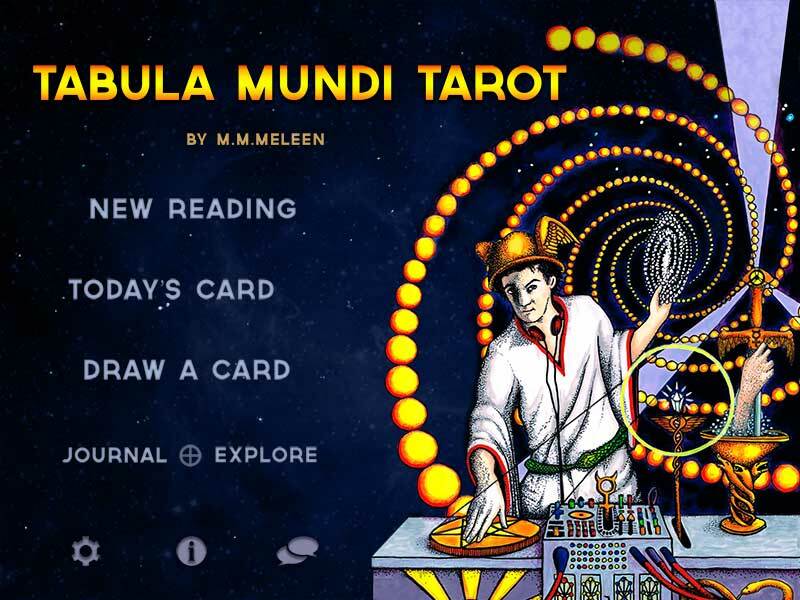 Right now there are two Tabula Mundi decks available. The Tabula Mundi Colores Arcus is full size which is about 5×3.25 inches and the Tabula Mundi In Minima is pocket size or about 3.25 by 2.125 inches. 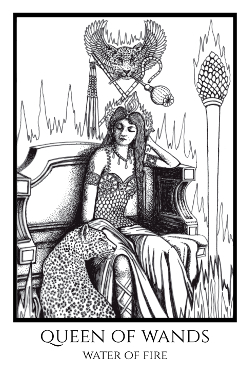 The Nox et Lux edition which was the black and white line art drawings for the deck was only 418 copies, and the Babalon edition had silver borders and special very elaborate hand made corset deck bands and only 156 copies. Those editions are sold out. 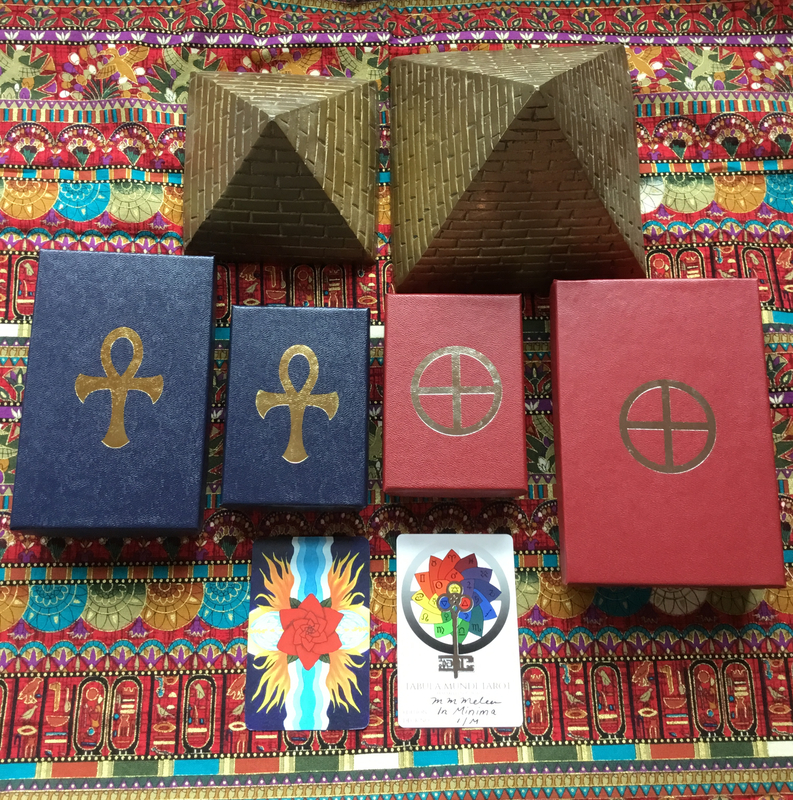 I hope to someday do a very small silver bordered edition someday but it won’t have the Babalon packaging.